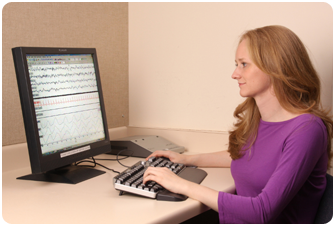 In 2007, the American Academy of Sleep Medicine (AASM) published a new scoring manual, which has since been incorporated into the board certifying examination for physicians and the registry examination for technologists. The 2nd edition of the Atlas of Clinical Polysomnography includes a systematic review of the new scoring rules with relevant commentary. To provide the reader with historical and global perspective, both traditional and revised rules are discussed in detail. Because of the many variants of sleep-wake physiology, the author emphasizes the importance of balancing existing scoring rules with practice-based clinical judgment. A wide variety of high-quality record samples are provided, demonstrating both typical and atypical sleep and wake PSG patterns.